Ken Russell is responsible for some of the best films and television of the twentieth century. Some of these were stunningly original and at least one scene, in Women in Love, is a milestone in film history. Another scene, from The Devils, would have been equally groundbreaking had Warner Bros not censored it. His top ten films compare with any other director in the industry. Among the great works are The Devils, Women in Love, The Music Lovers, Mahler, Savage Messiah, and on television Elgar and Song of Summer. Works that have moments of sheer genius include Tommy, Altered States, Crimes of Passion, Aria, Salome´s Last Dance, the amateur film Amelia and the Angel and the opera Mefistofeles. Minor works, but still of interest, include French Dressing, Gothic, Whore, The Rainbow and on television Clouds of Glory, Lady Chatterley, A British Picture, Elgar 2 and the pop video Nikita. Cult films, loved by some and hated by others, include Lisztomania, The Lair of the White Worm and The Fall of the Louse of Usher. 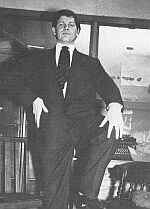 Henry Kenneth Alfred Russell was born 3 July 1927 in Southampton, Great Britain. His parents were Henry Russell and Ethel Smith and his brother was Raymond. 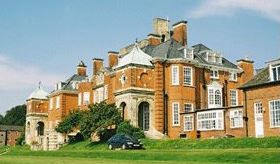 He went to Pangbourne Naval College in Berkshire. He married Shirley Kingdon in 1956 and divorced in 1978. They had five children Alex, James, Toby, Xavier and Victoria. He married Vivian Jolly in 1983 and divorced in 1991. They had two children Molly and Rupert. He married Hetty Baynes in 1992 and divorced in 1999 with one son Rex. Ken then married to Elise Tribble (2001). After some strokes Ken passed away peacefully in his sleep in November 2011.
. Ken Russell is an intelligent literate film director who is always interesting and will always confuse and surprise. In the beginning of his career he was very shy and introvert. He later became very extravagant and wild, another way of protecting his inner thoughts. Ken's background includes both the merchant navy and dancing. He moved to photography then made some amateur films which he submitted to the BBC´s Monitor programme. Ken gained his reputation in television when he took over from John Schlesinger on BBC television's Monitor series. Under Huw Weldon´s supervision he created low budget television documentaries. With little directing experience he turned out a stream of the most original and most commercially successful television programmes ever made. For example on the Bartok film he had no budget for extra actors so he used mirrors to create the effect of many musicians where there is clearly only one. The duality of the obvious (only one musician) and the effect (many) is part of Russell's power. Russell says "I gradually learned that as we followed the main feature film on Sunday night when anyone saw Monitor, the average viewer would take x number of seconds to get up and turn it off, so if I had a film on we would drop the logo thing at the beginning and put it at the end and I would devise an opening sequence for my films which would stop them turning off. You remember how I started it the Debussy film a naked girl is tied to a post and she is being slowly shot full of arrows... well they are not going to turn it off quite as quickly as if I had shown a more conventional opening". He turned to films. His wild visual imagery and his ability to inspire actors created some of the finest films made. He has achieved commercial success and had a brief period in America. His love of the kitsch- nuns, snakes, phallic symbols and marching Nazis- means his films were initially controversial, and his later films lost a mainstream audience. Recently he has struggled to get a budget "its easy getting two thirds of the cash, its always the final third that's the problem". Ken earns virtually no money from royalties. His income comes from his fees as director. There are a couple of bad Ken Russell films (Mindbender) and I give them bad reviews, but I quote Ken Russell on Tchaikovsky "No I love him, but my love isn't blind". Glenda Jackson says "I just wish he would find a really good scriptwriter he could respect because he needs to be dragged by someone with a talent as large as his own, then he could get out of this fearful rut". Ken Russell loves films. In the book An Appalling Talent he claimed as a child to go to up to seventy films a week (this number includes the inflation of memory through the years), sitting through two or three full (multiple film) shows a day. His own films pay homage to other films, typically recreating scenes in new contexts. Often a television screen is showing something during a Ken Russell film. Russell's films include very Catholic themes, though mainly in an irreligious or sacrilegious way, as well as the theme of sacrifice: Fenby sacrificing himself for Delius, Dreyfus being sacrificed for the honour of the army and the French state in Prisoners of Honor. Sexuality is also a major theme in Ken Russell's films and treated liberally. From the (almost) incestuous (Savage Messiah, Clouds of Glory) to homosexual (The Music Lovers, Women in Love) and lesbian (The Rainbow) to prostitution (Tommy, Crimes of Passion, Whore) to frustration (Crimes of Passion, The Devils, Lady Chatterley). There are few happy marriages in his films. 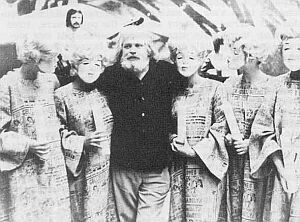 Ken Russell, in common with most directors, builds up a group of people he calls on for his films. In particular Oliver Reed and Glenda Jackson will always be associated with him. Glenda Jackson had virtually no acting experience, Oliver Reed was regarded as a hack. Russell brought out their talents. Ken seemingly has no problems getting inexperienced actors to turn in good performances e.g. Twiggy in The Boy Friend, Gable in Delius. But actors and Ken can't explain, and even contradict, this ability. Glenda Jackson says "I like him as a person and as a director he's like all really good directors- he leaves you alone. Bad directors just tell you what you want; good directors always wait to be surprised. The really good ones, more instinctively than deliberately, create an atmosphere, a climate in which you work well, that helps you produce ideas. He doesn't know anything about acting. He'll spend hours getting the set right or screaming abuse at people because a costume isn't actually correct in every fine detail, and then he'll leave you to play a scene entirely on your own. He can't do anything to help a bad actor" (from Nathan's Glenda Jackson). Russell himself says "I don't talk to my actors too much. I explain as much as I can to them but life isn't to do with explaining or manipulating" (from An Appalling Talent). Ken married Shirley Kingdon in 1956. Shirley worked on costumes for Ken. They divorced in 1978 and Shirley died in 2002. Their children were Alex (who worked on Ken's Gorsewood films), James, Toby, Xavier (who worked as editor on some of Ken's later work) and Victoria (like her mother a costume designer and she has worked with Ken). Ken married Vivian Jolly, who was an assistant on Altered States, in 1983. She provided the translation into English of Salome's Last Dance. They divorced in 1991 and their children were Molly and Rupert. Ken married actress Hetty Baynes in 1992 and she appeared in some of his television work. They divorced in 1999 with one son Rex. In 2001 Ken married Elise (Lisi) Tribble and they are happy making films together. The title of this page, Ken the Kid, comes from Russell's excellent autobiography A British Picture. Film stock is like clay. It can be moulded into an infinite number of possibilities.